In order to maintain balance we sometimes need to look inside ourselves to create a meditative and peaceful place to settle our minds and our bodies. As a subtle "l'huille meditative", Yin No. 4 does just that. 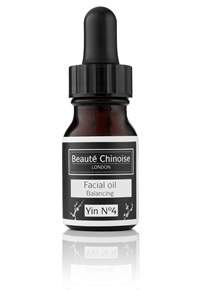 A beautiful, gentle meditative blend, this treatment oil comforts and restores balance to your skin while you sleep. A sumptuous blend of rose, neroli, mandarine, lavender, ylang ylang, chamomile and geranium calms mind, body and spirit.